Quarry, Washington Co., Cemeteries of Texas. There are between 100 and 150 graves in this cemetery, but only the ones listed above have legible information available. 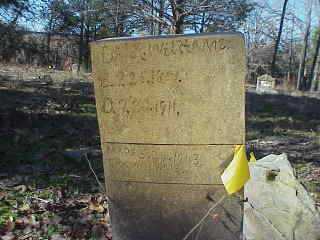 Most graves are identifiable only by ground depressions in the area. There are many similar stones - with the name of Phillips & Luckey Funeral Home, Hearne on the copper plate inset into poured concrete - most of these stones no longer have the copper plate.